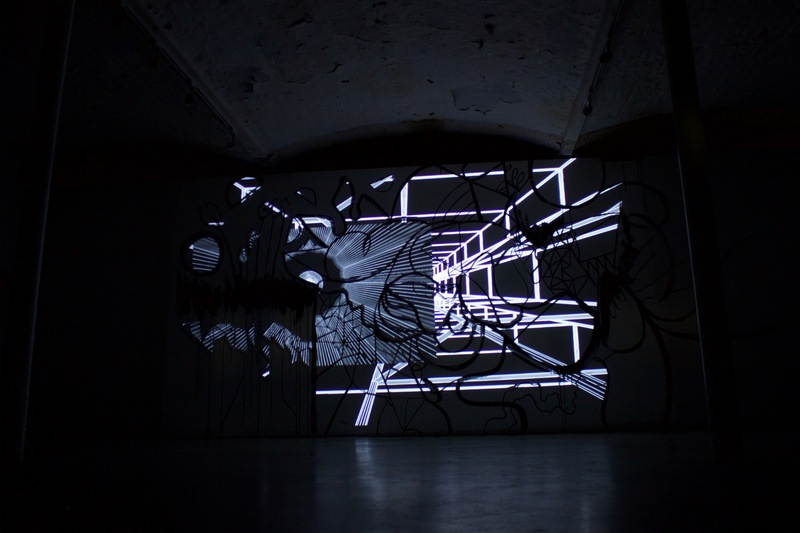 Dark Matter Inside is a subconscious visual and sound response from the Dark Matter series focusing on the producer Clark. 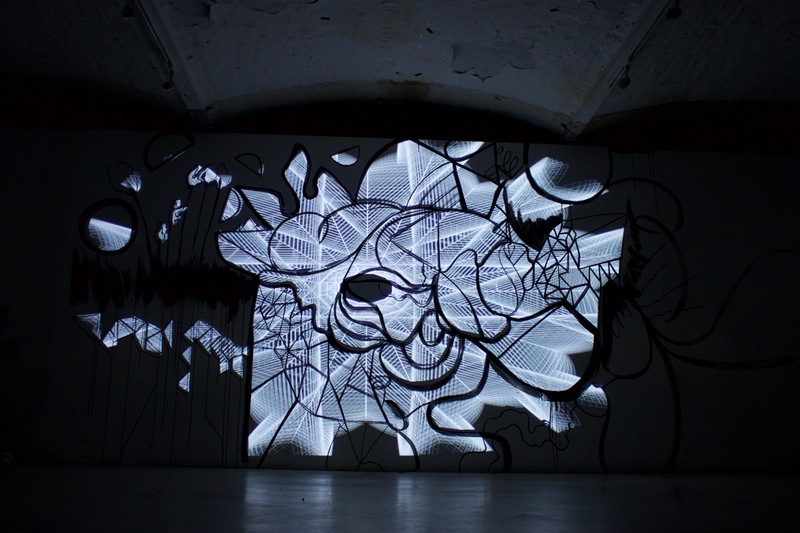 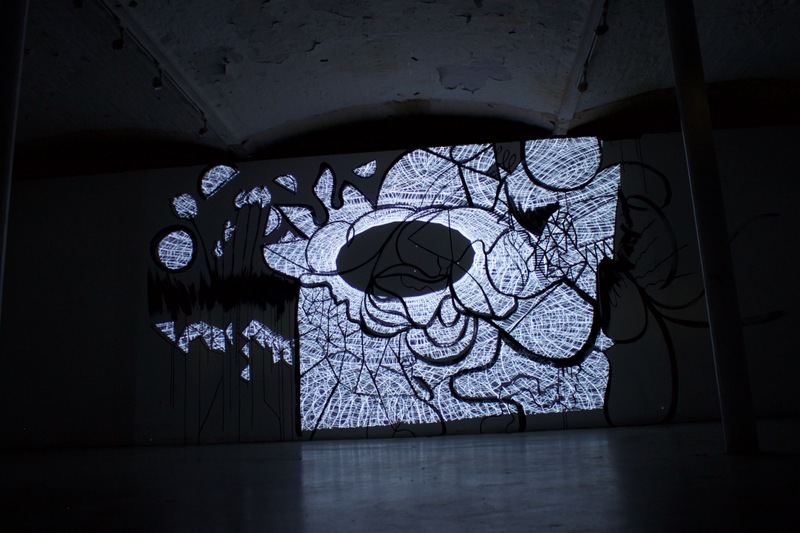 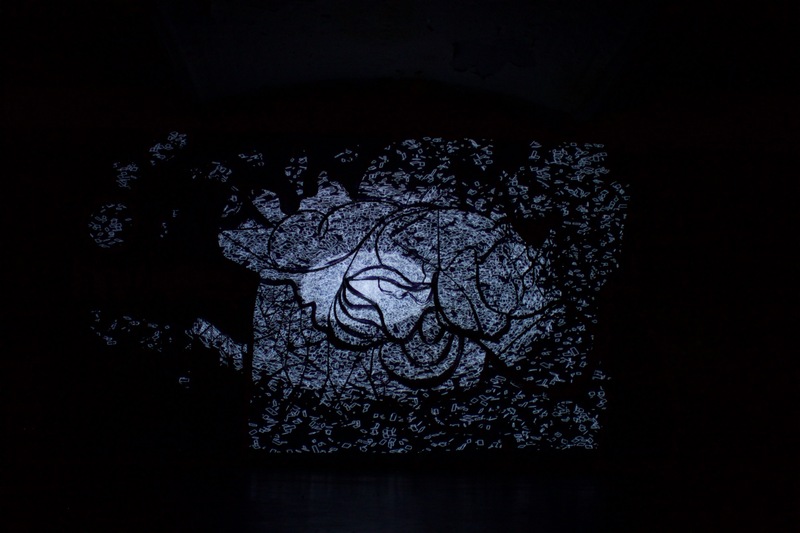 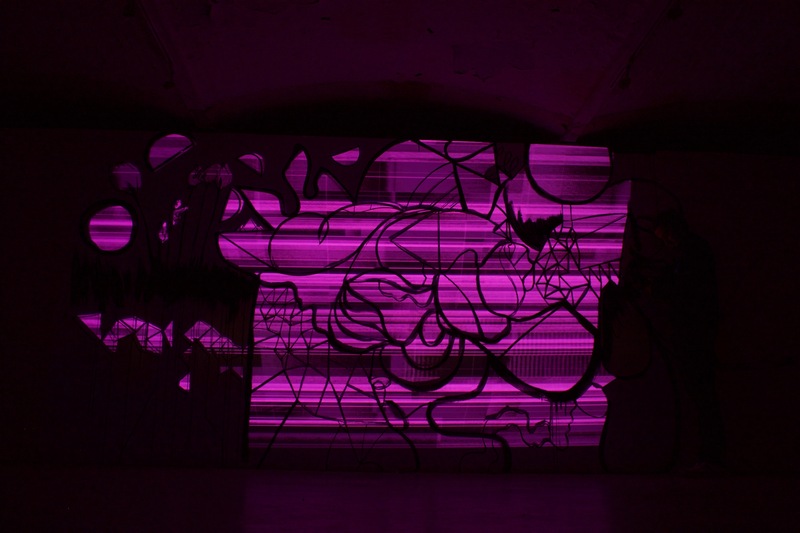 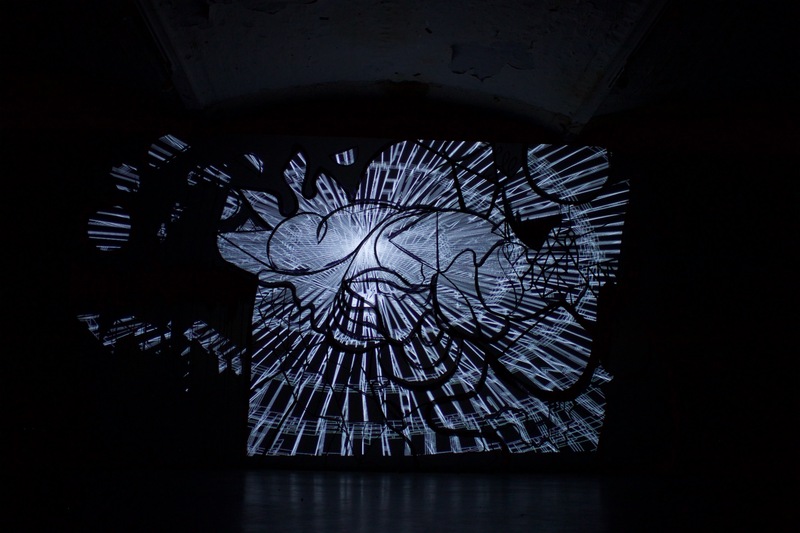 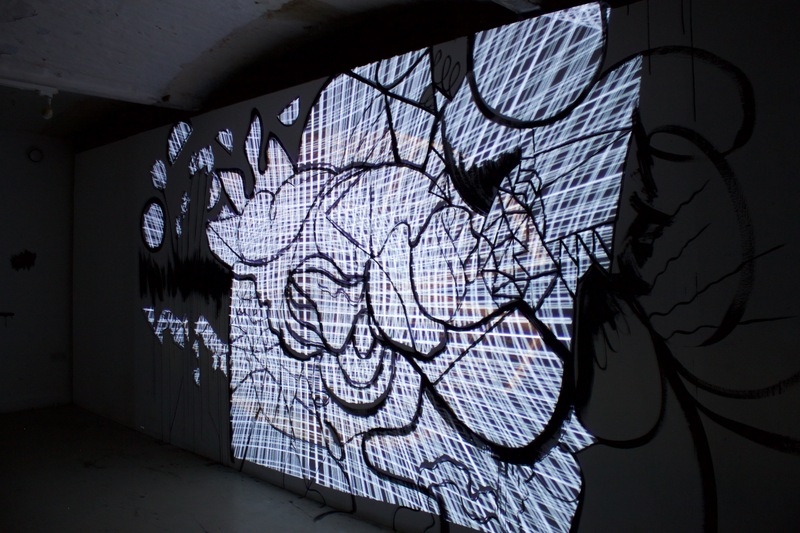 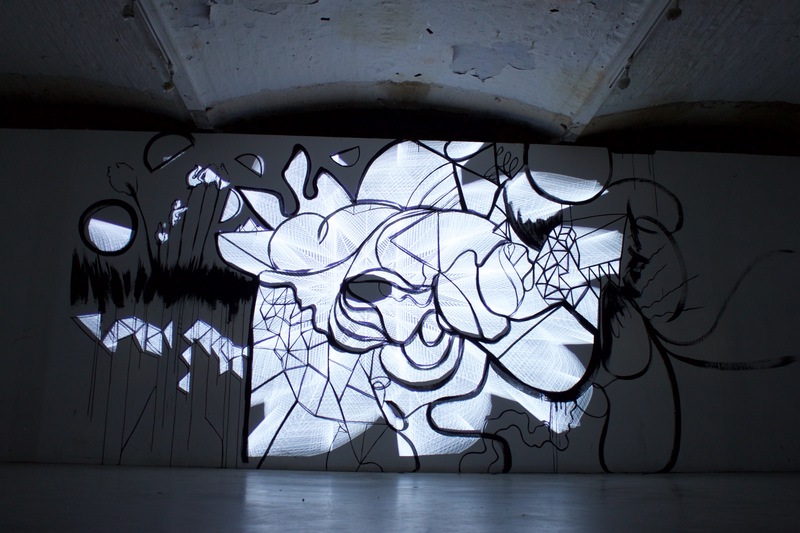 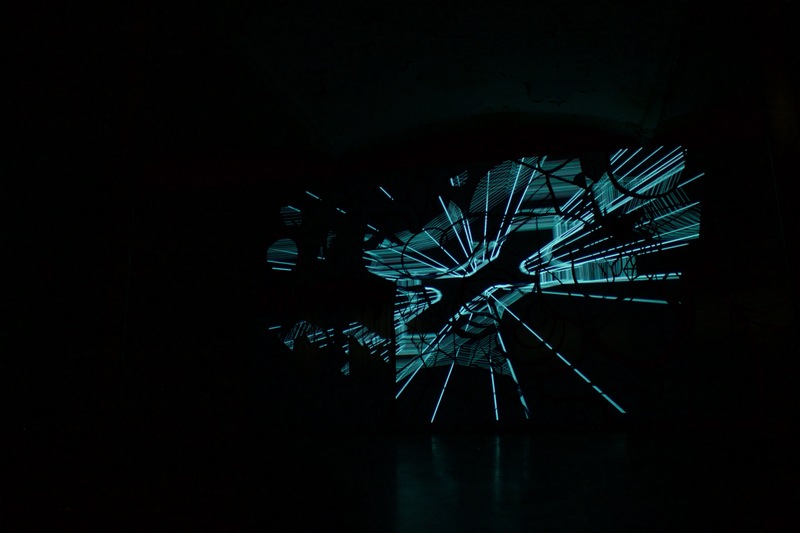 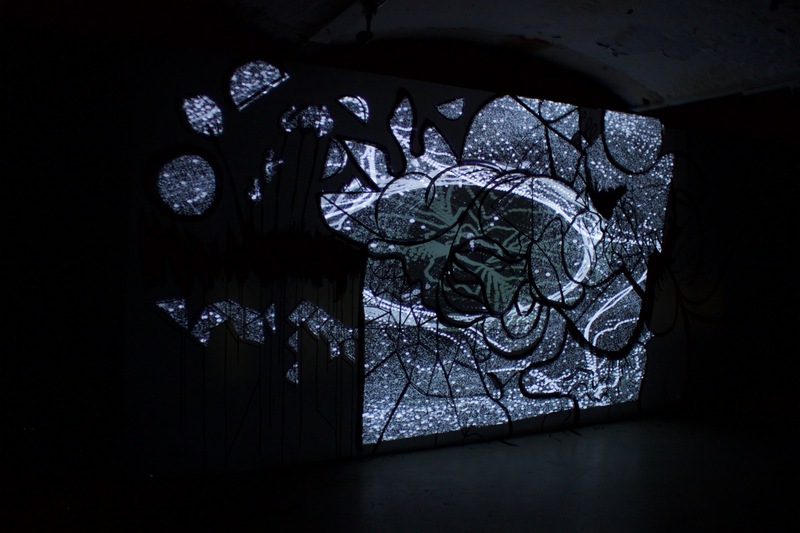 Both artists went to the show, the sound and atmosphere influenced Tasha’s subconscious visual mural – having no preconceived thought in the creation process painted a physical representation of the sound. 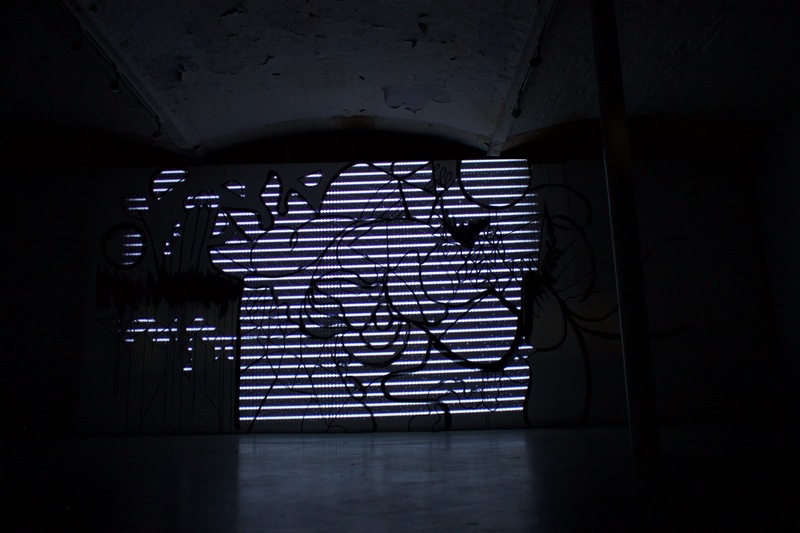 Whilst painting she was wearing a ‘Myo’ band which was programmed by Ben Caley to respond to movement with sound. 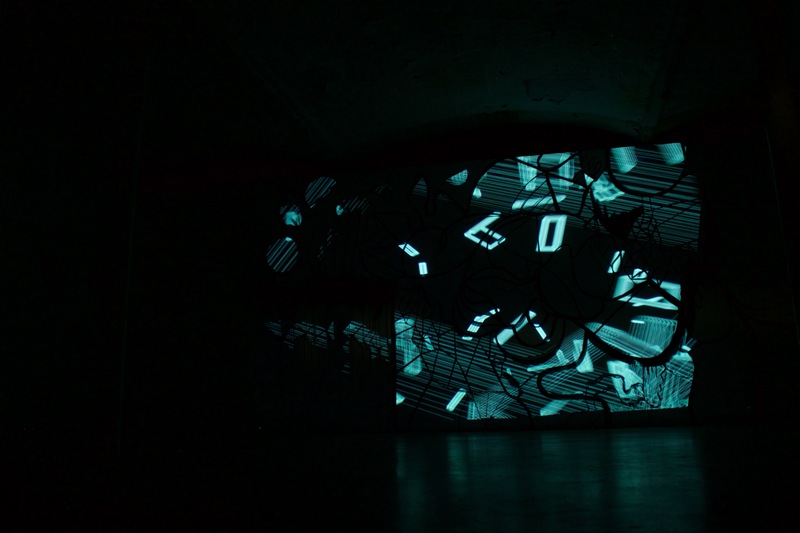 The sound output was made into a track by Tasha which was then used by Dyllan to project map the visuals he created onto the mural. 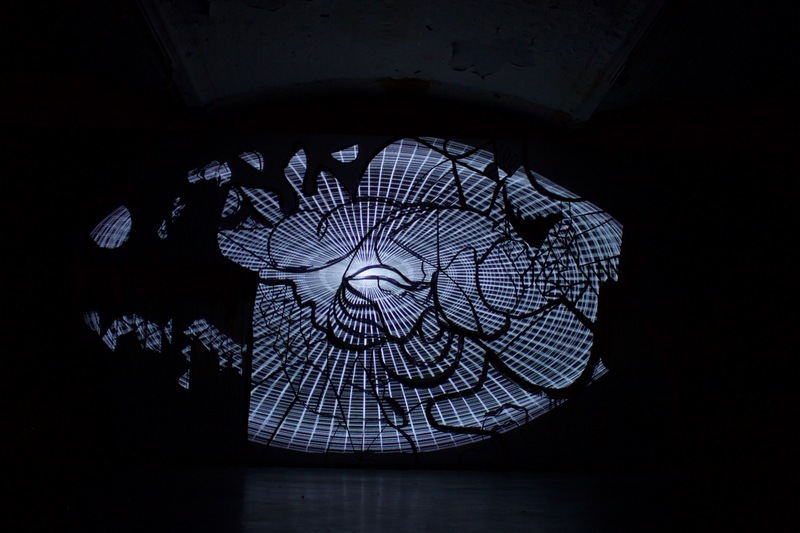 This project goes full circle in a sound – visual – sound -visual response, touching on the elements and energy of Dark Matter and how all things are interconnected.